What our customers are saying about our Holiday Cottages In St. Martin In Meneage To Rent. "I didn't actually book it via Sykes in the first place, it was Owners Direct originally. All very good though... S96335 at Mudgeon Vean is a great place to stay. 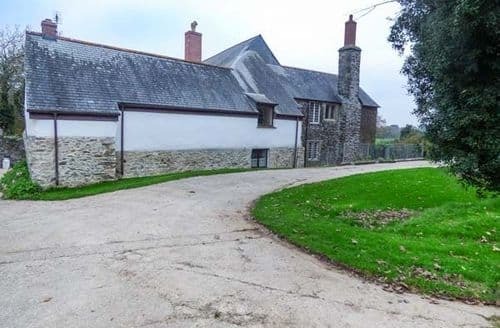 Ideal for families with little children it is a farm with a proper playground with swings and adventure climbing frame, there are animals (Chickens, Ducks & Rabbits) and acres of space to play in. There is a nature trail and also a games room with all sorts of toys and a full-sized ping pong table should the weather turn wet. 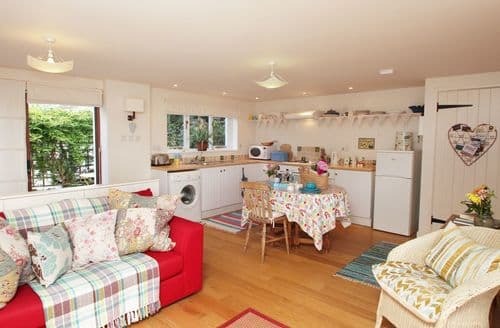 The cottage itself is a well appointed two bedroom, one double one full-sized bunk bed and shower room upstairs with a large open plan living room reception room. The reception room features two sofas (one is a sofa-bed) and an easy chair with Flat-screen TV, DVD player and iPhone charger/Speaker leading on to the kitchen dining room. The kitchen has a fitted suite with modern appliances (fan oven, dishwasher, ceramic hob, washing machine and fridge freezer). Outside there is a private garden with a picnic table and a granite built barbeque. The only downside of this property is it is a long way from the nearest village shop down twisty Cornish lanes so a car is essential. It is a great base to strike out from and very well set up for families. The owners Sarah and Jem couldn't be friendlier and went out of their way to help us and made our stay a real treat. 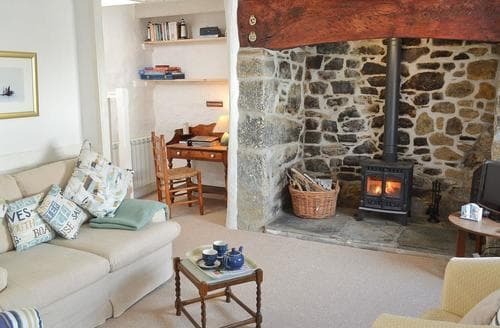 10/10"
"All very good though... S96335 at Mudgeon Vean is a great place to stay. Ideal for families with little children it is a farm with a proper playground with swings and adventure climbing frame, there are animals (Chickens, Ducks & Rabbits) and acres of space to play in. There is a nature trail and also a games room with all sorts of toys and a full-sized ping pong table should the weather turn wet. The cottage itself is a well appointed two bedroom, one double one full-sized bunk bed and shower room upstairs with a large open plan living room reception room. The reception room features two sofas (one is a sofa-bed) and an easy chair with Flat-screen TV, DVD player and iPhone charger/Speaker leading on to the kitchen dining room. The kitchen has a fitted suite with modern appliances (fan oven, dishwasher, ceramic hob, washing machine and fridge freezer). Outside there is a private garden with a picnic table and a granite built barbeque. The only downside of this property is it is a long way from the nearest village shop down twisty Cornish lanes so a car is essential. It is a great base to strike out from and very well set up for families. The owners Sarah and Jem couldn't be friendlier and went out of their way to help us and made our stay a real treat. 10/10"
"Very easy and friendly to deal with, both via the app/online and over the phone. 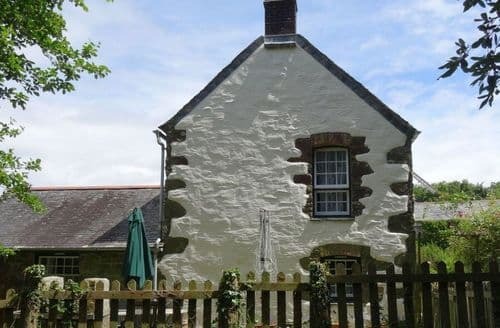 ‘Bolitho’s Retreat’ was a lovely 1 bed getaway; very well appointed, and maintained. It was clear the owners had gone an extra step in fitting the rental out with touches to make it feel like a home. 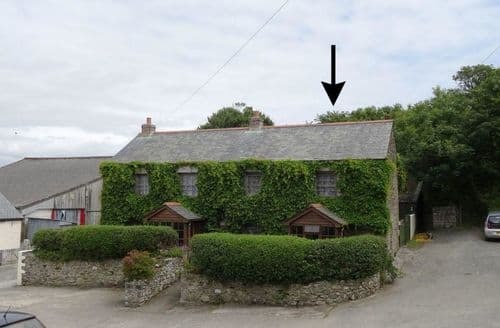 Very quite location, 10 mins walk to a pub with excellent food and the location gave easy access to the Lizard, West Cornwall and the Falmouth areas Only thing missing, and this is purely personal, was WiFi. We had no phone signal in the cottage and this would have aided us in staying in contact with family. As I said, purely personal as I know a lot of folk like to ‘getaway’ when on Holliday. Thanks to the owners Scott and Vicky who we met on arrival - a great stayThere was a pub about a ten minute walk from the cottage and a shop ten minute drive in next village. Footpaths handy for dog walking and there were dog friendly beaches within a twenty minute drive. The cottage was well equipped and pleasantly decorated.Would definitely recommend this place to stay to anyoneScott was lovely and helpful. The place itself was clean, peaceful and had everything you needed. Great base for exploring Cornwall. Would definitely book again." "Very easy and friendly to deal with, both via the app/online and over the phone. 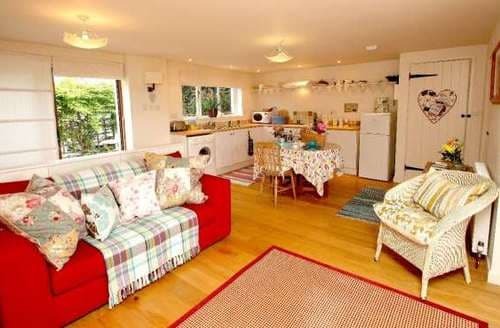 ‘Bolitho’s Retreat’ was a lovely 1 bed getaway; very well appointed, and maintained. It was clear the owners had gone an extra step in fitting the rental out with touches to make it feel like a home. 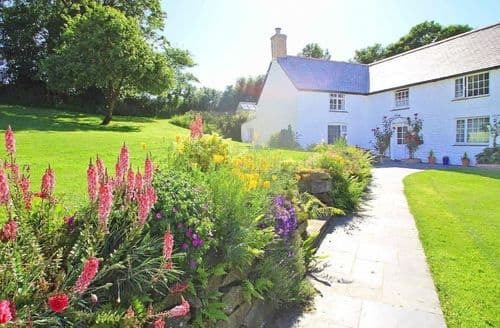 Very quite location, 10 mins walk to a pub with excellent food and the location gave easy access to the Lizard, West Cornwall and the Falmouth areas Only thing missing, and this is purely personal, was WiFi. We had no phone signal in the cottage and this would have aided us in staying in contact with family. As I said, purely personal as I know a lot of folk like to ‘getaway’ when on Holliday. Thanks to the owners Scott and Vicky who we met on arrival - a great stay"
"We enjoyed a lovely short break at S40965. It was ideally situated for all the various attractions in the area. We had read about the busy road junction but to be honest it wasn't a problem. The Prince of Wales pub over the road is very welcoming and does excellent food. As with previous guests we asked and there was no problem leaving our car in the their car park. The cottage itself was clean and comfortable. We would certainly consider booking it again for a future visit. August 2018."